The scallop hem and floral detail adds perennial charm to the sweet Caroline dress. 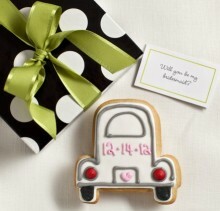 Each bridal party gift includes one custom cookie in our signature polka dot gift box tied with grosgrain ribbon. 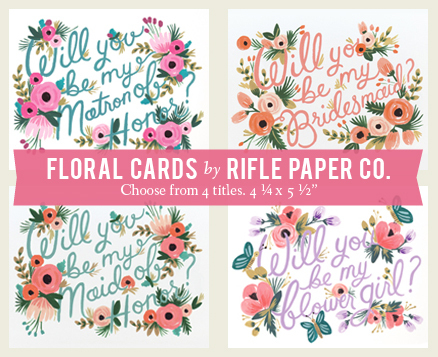 "will you be my..." enclosure card included. Message for inside card (2 sentences). 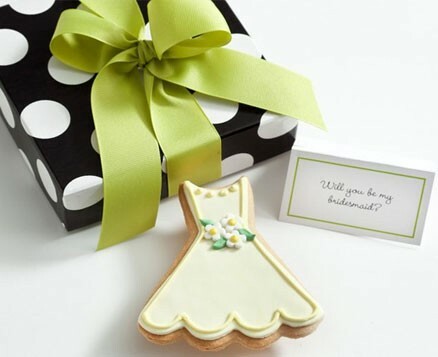 If the gifts are shipping to the bride, the inside of the cards will be left blank to personally hand write a little note.